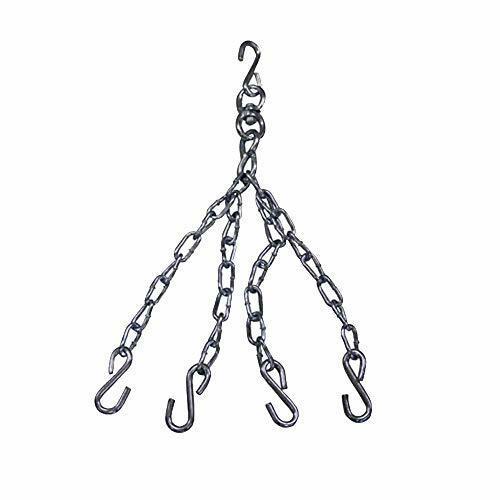 Solid steel galvanized chain with four strands. 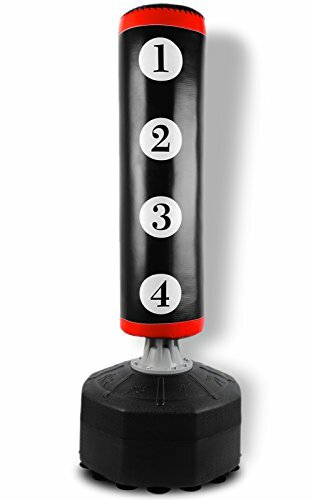 Super strength swivel for tangle-free usage. 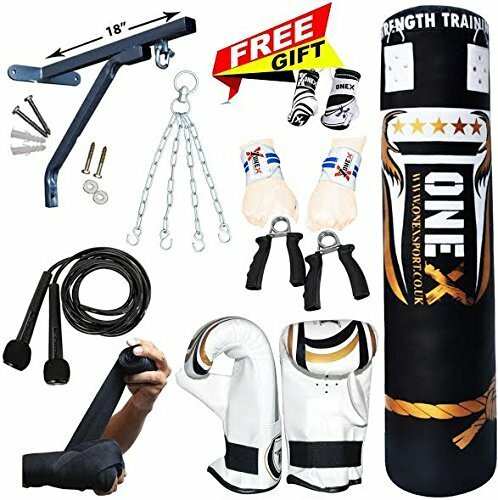 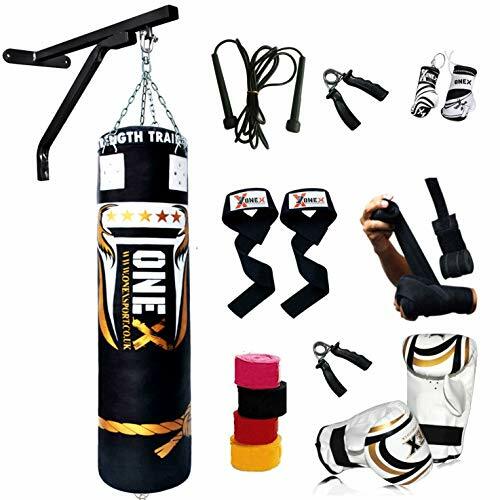 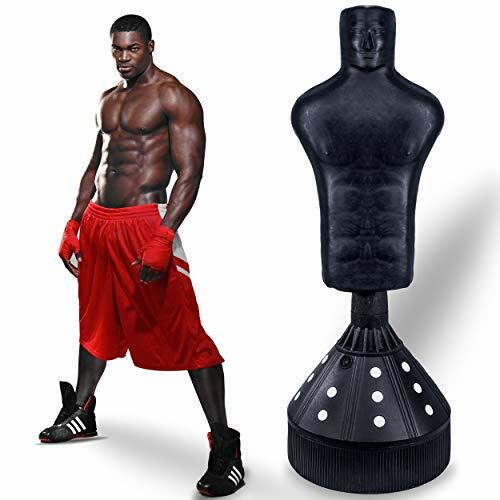 Recommended for boxing, kickboxing, and MMA heavy bags up to 220lbs. 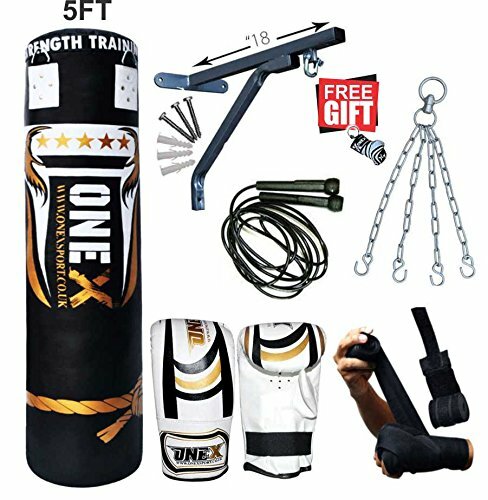 ✅ FREE-STANDING DESIGN – Traditional punch bags require you to hang them from the ceiling, which can be messy and create holes. 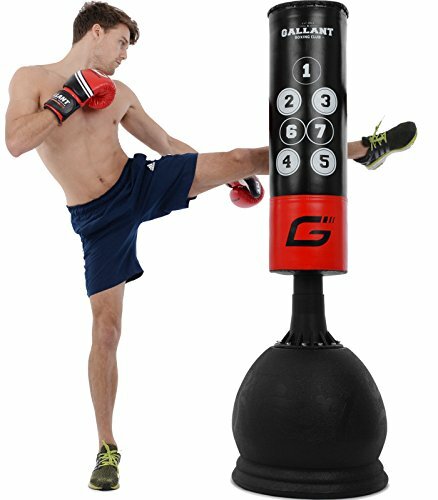 No nuts and bolts are needed for this punchbag, which can be pushed to the side when you’ve finished training. 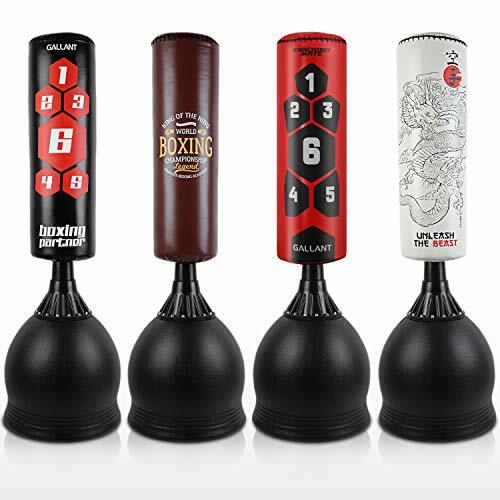 ✅ NARROW, STABLE BASE – Narrow bases are often considered to be less stable than wider bases, but once filled with sand, this is no longer the case! 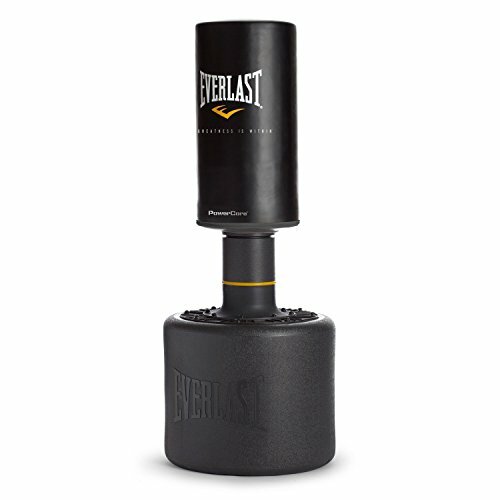 The narrow base also makes it easier to move around the bag, so you can bob and weave without tripping over! 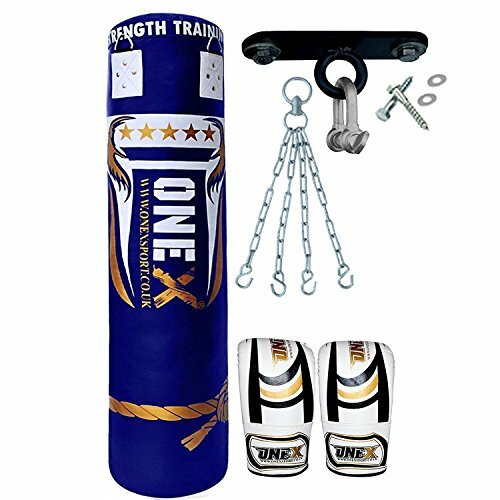 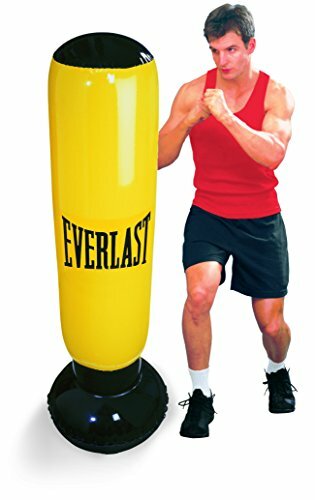 ✅ SHOCK ABSORBING – Fully padded with 5cm-thick EPE foam which absorbs every hit, protecting the punching bag from damage and preventing it from moving out of place.